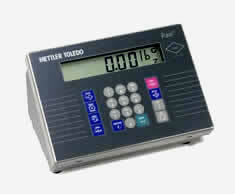 Mettler Toledo Viper Ex is a complete range of scales for pharmaceutical and chemical industries. 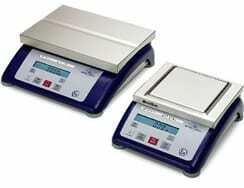 Individual models are available with up to 3 different platform sizes and in 5 weighing ranges from 1.5 kgto 60 kg. For detailed information, please view the corresponding datasheet below. With one standard digital input standard – allows you execute commands such as clear, zero, and tare or to send a print job to the printer in the safe area. Simple, Flexible and Intrinsically Safe. Mettler Toledo is the leader in supplying instrumentation for hazardous classified environments. From Custom Batching, to general weighing. The PUMA was designed for the global markets, and has been used extensively throughout the US, and Europe. A truly flexible design the PUMA meets intrinsic safe, electrical safety, low voltage requirements for hazardous approval. Three power sources are available – AC power, 1.2AH or 7.0AH internal battery, and external battery. Battery Life estimated @ 50+ hours on 1.2A and 300+ hours on 7.0A battery w/1 350 ohm load cell. Thedisplay is the largest in the industry, with 1 inch (25 mm) numbers and symbols. Constructed of corrosion-resistant stainless steel and rated NEMA 4X (IP65), thePUMA®Tx terminal is ideal for use in the harshest environment. Fiber Optic transmit & receive option available for data output (RS232 or 20ma) with receiver located in safe area. The Mettler Toledo model ID7sx intrinsically safe weighing terminals can be operated in hazardous areas of zone 1 and zone 21. 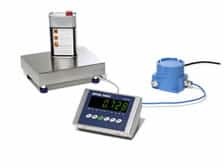 Connected with nearly all kinds of weighing platforms, i. e. K-baseT4, PBA430x, ViperEx, and a multitude of anaog load cells, they determine also slightest quantities with the highest precision. 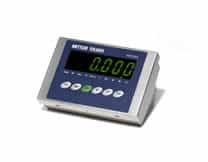 The optimal operating convenience of the weighing terminal is guaranteed by a LC-display (1″ digit) that can be read very easily. In addition, stainless steel housing (IP66) fulfills all requirements regarding thorough cleaning. Depending on the weighing terminal, versatile application programs are available. By pressing a button, the weighing systems can be adapted to common applications like plus-/minus-weighing, formula-weighing, totalizing and dispensing. Peripheral equipment can be connected via a data interface with RS232- Analog output, or CL-port, installed in the safe area via the PSU.